RICHARD Clarke said quitting as manager of Dergview was the best decision for the club. Clarke called it a day after the Castlederg outfit suffered a heavy 5-1 defeat to Loughgall United in their final Championship game before the split on Tuesday night. Under Clarke the Darragh Park outfit has won just three of 22 league games this season and his resignation brings to an end a tenure of four and half seasons during which the North Tyrone club mixed it with the best. Following Tuesday evening’s defeat, which leaves Dergview second bottom and just a point above Lurgan Celtic, Clarke said he felt the team needed a “new voice”. “To be honest it’s been a combination of things. 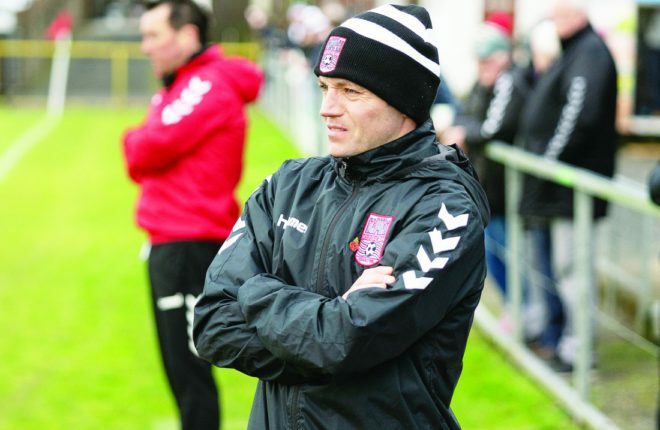 First and foremost I take responsibility for results, we had a tough run of games and I thought the home games against Limavady and Loughgall would have given us a platform to kick on,” he said. “To be honest I was disappointed in the performances I got and I think it was evident that the players weren’t pulling for me. “I don’t want to see my hometown club going down and if they continued to play like that there was a danger of that. “This is the best decision for the club. I had the full support of the club and they would have stuck by me. But the club needs a wee bit of a bounce, a fresh face and a new voice. The players are good enough.